​The iBobber shows how far fishing technology has come. 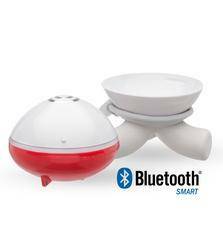 Utilizing Bluetooth Smart technology, you get all the functions of a fishfinder in the palm of your hand! The iBobber is the smallest and lightest personal sonar depth finder on the market. It is a castable, portable, and wireless fish finder that syncs with the free app on your smartphone or tablet up to 30m away. Syncs with iOS (Apple) 6.0, 7.0, 8.0 and 9.1 operating systems and Android 4.3 or later that use Bluetooth Smart (4.0). iBobber comes complete with USB charger, carrying pouch and, of course, a product guide. iBobber is for anyone who loves to fish, and wants to catch more of them. Just cast the iBobber and Ping! 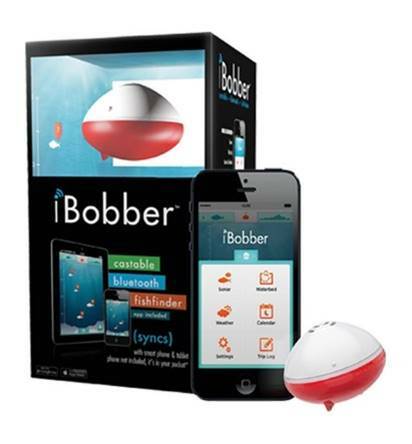 iBobber syncs via Bluetooth Smart and shows you where the fish are.